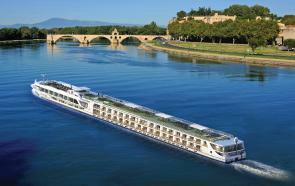 Scenic offers luxury river cruises on the waterways of Europe and Southeast Asia. They are an Australian company that started as a tour company back in the 1980s and they have grown into one of the larger river cruise companies in operation. By the end of 2015 their fleet included 12 river cruise vessels and in 2016 they expect to launch a total of four new ships. This includes the introduction of the Scenic Spirit (January), Scenic Azure (April), Scenic Amber (Summer), and Scenic Aura (September). Additionally, Scenic owns and operates Emerald Waterways which made its debut in 2014. That fleet has four ships. In 2018 they will launch their first ocean-going polar yacht, the Scenic Eclipse (16,500 GRT). They hire crew from around the world and use G&P Cruise Hotel Management to assist with their recruitment needs.